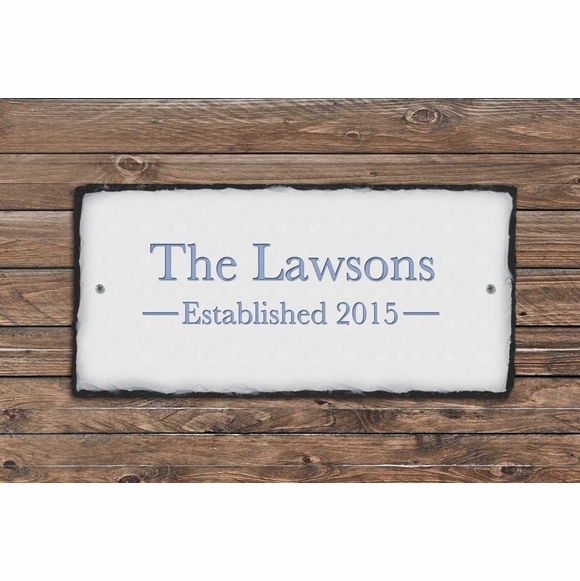 Eggshell Established Year Sign - - includes your name in light blue wording. Made in USA. Name up to 30 characters. Established year 4 characters in this format: XXXX. (The word "Established" is part of all signs. Colors: eggshell slate with light blue wording. Eggshell slate name and established year plaque.